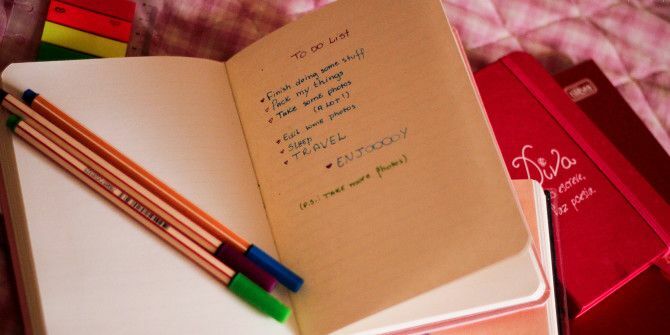 Stop using your to-do list as yet another excuse to procrastinate. Switch to a minimal task management system and focus on getting things done. 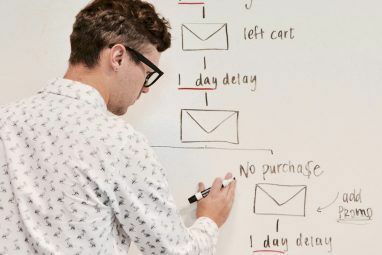 Streamlining and managing workflows is a hot topic on the Web, and productivity tools such as to-do lists form a major part of that discussion. Finding new and improved ways of working is great. 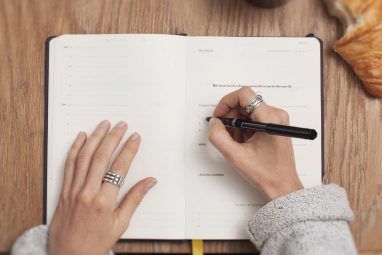 But it’s also important to ensure that you’re spending minimal time tweaking your to-do list and maximum time working through the tasks listed on it. That’s where the following three apps can help you. 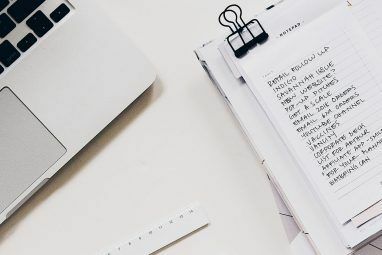 With their no-fuss approach to task management, they bring the simplicity of pen and paper to your digital workflow, and urge you to take immediate action. This web app is probably the simplest to-do app of them all, and has no sign-up formalities that you need to complete. As you fire up the NowDoThis website, you’re greeted by a big blank box. Fill it with your tasks for the day, in the order you want to work on them. Click on Ready and move through the tasks in serial order, completing each one and marking it done before moving on to the next. If you work online, set up a Pomodoro timer 3 Of The Best Free Pomodoro Productivity Apps 3 Of The Best Free Pomodoro Productivity Apps Read More , switch to full screen mode, and start working. It’s a relief to have to worry only about the task at hand and nothing else. NowDoThis has a couple of cool hidden tricks. Enter a time limit after you type in a task and you have got yourself an instant timer setup. Simple To-Do List is not a standalone app. It’s a neat little Chrome extension, which is somewhat similar to another to-do Chrome extension that we have featured before. If you live and work inside your browser, Simple To-Do list may be just what you need to manage and follow up on your tasks effectively. The app appears as a tiny orange icon next to the address bar, and displays the number of unfinished tasks on your plate. Click on the icon to reveal a checklist that houses your task items. Add a task, assign a priority level, and once you have finished the task, check it off by clicking on the box next to the task. That’s all there is to it! You do have a few more settings to work with, such as rearranging tasks, deleting finished tasks, tweaking font properties through CSS, adding custom colors to denote task priority, and importing/exporting tasks. Simple To-Do List is also available for Opera. We took a look at TeuxDeux TeuxDeux: Minimalist Web-Based To-Do List Tool TeuxDeux: Minimalist Web-Based To-Do List Tool Read More back in 2011. It has undergone some interesting changes since then, but has stayed simple and beautiful as ever. It is relatively the most feature-rich app of this roundup and takes a weekly approach to your to-do list. When you sign up for the service and log into the Web interface, you can see the entire week’s tasks at a glance — a digital interpretation of how many of us visualize the week ahead. Adding, editing, and deleting task items, marking them complete, and shifting them around is intuitive, and you’ll figure it out in no time. Markdown support and the option to add recurring to-dos are among the best features of the app. Say, you want to add reading to your list of everyday tasks. All you have to do is add an item for it and append it with the label every day. This immediately replicates the item for all the days of the week. Use tags like every month, every week, etc. to control the frequency of the tasks. Want to focus on today only? Resize the app window to see today’s tasks at a glance. There is also a section for “someday” lists. You can use it in creative ways as you see fit. TeuxDeux comes with a free trial for 30 days, and subsequently charges a small subscription fee, which is reasonable and absolutely worth it. Shiny, feature-filled task management apps have a lot going for them. But their complexity can be distracting, especially if you are obsessed with organization. It’s best to reserve such apps for large projects and teams, and to adopt simple to-do lists, like the ones listed here, for personal use. Are you a list lover? Which apps do you use to keep track of your to-dos ? Or do you give them all a miss and prefer to stick to good old pen and paper? Let us know in the comments. Explore more about: GTD, To-Do List. TeuxDeux is awesome for personal tasks. Same with Any.do. In fact, they just released their web app today. For team collaboration we use Brightpod. I think you'll have reviewed it last year. I've been through a lot and Trello is what I currently use. Instead of running a Kanban board (todo/inprogress/done) I rename the lists into categories (inbox/work/play/projects/chores/etc) and prioritize items within each list by dragging them up or down. I then use the color coding labels to designate now, later, or tomorrow. You can also send it items via email so I've setup my reoccurring items in crontab with mailx. I know this misses the original point of the article but I felt like sharing in case it might be the solution someone else has always been looking for. I also have a KanbanTool board and it does wonders for me (and my productivity). I used to have one on Trello to but I switched to KT, because it's more professional and focuses on Kanban method. Simple To Do List is a free Chrome extension. And as mentioned in the article, Teux Deux has a free 30-day trial and NowDoThis is web-based and requires no sign up or payment. Thanks, very interesting! But it would have been nice to know something about if it's free or not, too. Lists etc are just tools which can be used provided the attitude is work focused. First it is necessary to have a clear will that you will START. The rest follows. Just checked out TeuxDeux. Horrendous reviews in the App Store. Poor customer service...no update in over a year. Surprised it would be featured here considering the user feedback. I cannot comment on the quality of the App Store version since I'm not an iOS user. I have used the Web version and found it running quite smoothly, and seems to be one among the popular to-do list apps. Workflowy is the best list making app for all platforms. It's the only thing I've used consistently bc of its versatility !